Choose from Natural Terracotta, Glazed Cream, Oyster, Mushroom, Apple Green, or Turquoise. Add an optional Round Saucer? 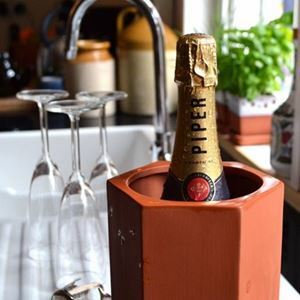 Our terracotta wine cooler after being soaked in water will bring down the temperature of wine by natural evaporation through the terracotta pores... 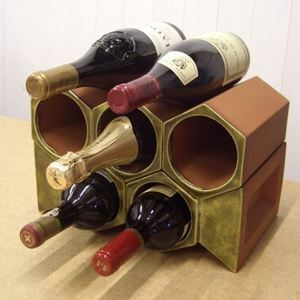 It will also aid in maintaining the temperature of pre-chilled wine from your fridge at table. 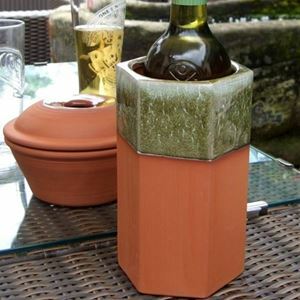 Available in natural terracotta or in the following glaze finishes: Apple-green, turquoise, mushroom, oyster & cream glazes - The coolers are hand dipped in two reactive glazes which melt & react in the kiln creating unique effects. 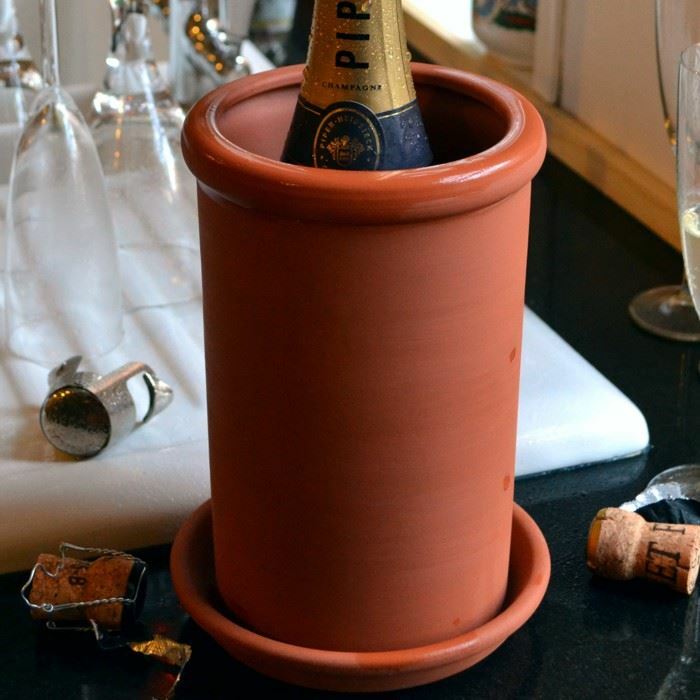 This terracotta wine cooler will comfortably accommodate a champagne bottle. 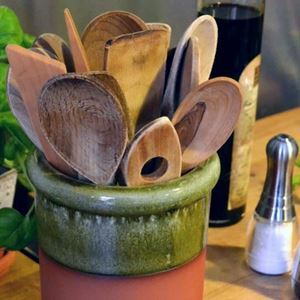 These multipurpose pots also make great kitchen-tidy utensil pots! 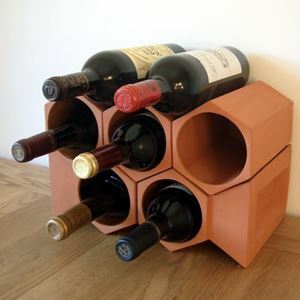 There are matching saucers available for your terracotta wine cooler which will help protect your table from any marks from the natural condensation of the wine cooler? Made in the UK at our Nottinghamshire pottery. 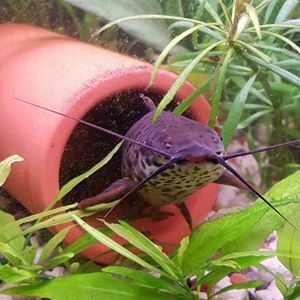 A fish cave or pleco cave allows the smaller fish in your aquarium to lay their eggs safely away from the other fish. Cave Lengths: 10, 12, 15 & 17cm.